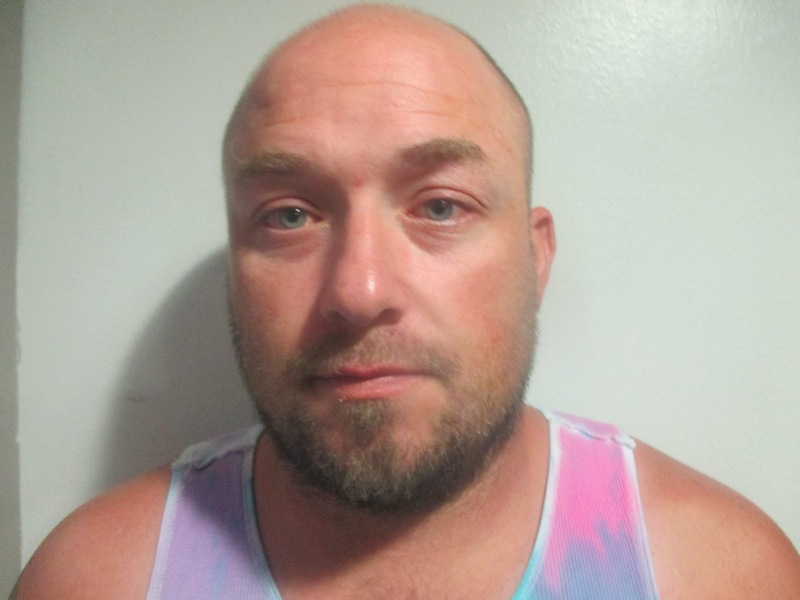 Joshua Thomas Smith, 37, of Vian, was arrested Tuesday morning, by the U.S. Marshals Violent Crimes Task Force (EOTF). Smith was apprehended at his father’s residence in Vian without incident. Smith had outstanding Sequoyah County warrants for child sexual abuse. The EOTF adopted the warrants based on their violent nature and Smith’s violent history, according to a U.S. Marshals spokesman. 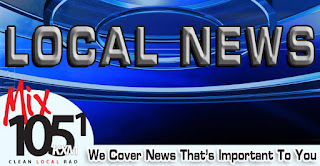 Smith was booked into the Sequoyah County jail and is being held on a $25,000 bond. In a petition filed by Journey Church in Sallisaw on May 22 against "former members" and 35 John Does the church is seeking declaratory relief from donors "who may elect to demand a refund of ... donated funds." According to the petition the church began a fundraising drive to build a new sanctuary in 2008. Donations were solicited from church members for the drive which was named "Building for Life." The petition states that "members of the church congregation donated funds to the Building for Life program from 2008 through 2012." Church membership eventually voted that it would be more feasible to purchase and remodel an existing building than it would be to build a new sanctuary. The existing building was purchased in August 2017. The petition goes on to state that after learning of the vote to purchase an existing facility, certain "former members" asked for a refund of their donated funds. The church denied the "former members" request for a refund and allege that the use of funds donated to the Building for Life fund were unrestricted. The court is being asked to declare the donated funds as unrestricted as to their use, or in the alternative that the use of the funds donated to the building fund to purchase and remodel an existing facility as a larger sanctuary is "sufficiently close in purpose to constructing a new facility, as to render the distinction of no effect." The petition does not list the names of the former church members. (L-R) 2018 Remember the Removal Bike Ride participants Parker Weavel, Amari McCoy, Daulton Cochran, Emilee Chavez and Sky Wildcat, Cherokee Spiritual Leader Crosslin Smith, Cherokee Nation Secretary of State Chuck Hoskin Jr., Principal Chief Bill John Baker, Cherokee Nation Businesses Executive Vice President Chuck Garrett, Tribal Council Speaker Joe Byrd and 2018 Remember the Removal Bike Ride participants Autumn Lawless, Courtney Cowan, Jennifer Johnson, Dale Eagle and Lily Drywater. Ten cyclists participating in the 2018 Remember the Removal Bike Ride left the Cherokee Nation Tuesday morning to begin a three-week trek spanning approximately 950 miles along the northern route of the Trail of Tears. The Cherokee Nation’s 10 cyclists will join eight from the Eastern Band of Cherokee Indians in Cherokee, North Carolina. After participating in cultural activities and team-building exercises in North Carolina, their ride will begin in New Echota, Georgia, on June 3. While commemorating the 180th anniversary of the Trail of Tears, cyclists will travel through seven states before concluding in Tahlequah on June 21. The original Remember the Removal Bike Ride was held in 1984, and the leadership program resumed as an annual ride in 2009. Participants learn about Cherokee Nation’s history, language and culture and get a glimpse of the hardships their ancestors faced while making the journey on foot. Starting in 1838, Cherokees were rounded up and forced from their homes in Georgia, Tennessee and other southeastern states to the Cherokee Nation’s current capital in Tahlequah. Of approximately 16,000 Cherokees who were forced to make the journey to Indian Territory, about 4,000 died from disease, starvation and exposure to the elements. “I have already learned so much and I am just so honored to be a part of this ride and have the opportunity to represent my tribe in this way,” 2018 Remember the Removal Bike Ride participant Courtney Cowan said. Cherokee Nation cyclists include Daulton Cochran, of Adair County; Emilee Chavez, Lily Drywater, Dale Eagle, Parker Weavel and Sky Wildcat, all of Cherokee County; Courtney Cowan, of Delaware County; Autumn Lawless, of Muskogee County; and Amari McCoy, of Sequoyah County. The riders are being accompanied by Jennifer Johnson, an Oklahoma City lawyer and Cherokee Nation citizen who was chosen as the 2018 mentor rider. Cherokee Nation Businesses Executive Vice President Chuck Garrett, an avid cyclist, is also joining the cyclists during a portion of the ride. Participants from the Eastern Band of Cherokee Indians are Jan Smith, Seth Ledford, Lori Owle, Nolan Arkansas, Brooke Coggins, Darius Lambert, Ahli-sha Stephens and Bo Taylor. Follow the Remember the Removal Bike Ride at http://www.facebook.com/removal.ride and at www.remembertheremoval.cherokee.org. On Twitter and Instagram, search for the hashtags #RTR2018 and #WeRemember. Memorial Library’s summer reading program May 24 at the Sallisaw Civic Center. Libraries Rock! is the theme of the summer reading program at Stanley Tubbs Memorial Library in Sallisaw, and there is still time to participate. The program offers six grand prizes, courtesy of the Friends of the Library. The prizes are $25 Walmart gift cards. The winners of the gift cards will be announced July 30. 1. Sign up for the summer reading program at the library. 2. Enter once a day by checking out books. 3. Read lots of books. 4. To enter the drawing, tear off the top of the check-out slip, write your name and phone number on the slip, and drop it in the appropriate box. 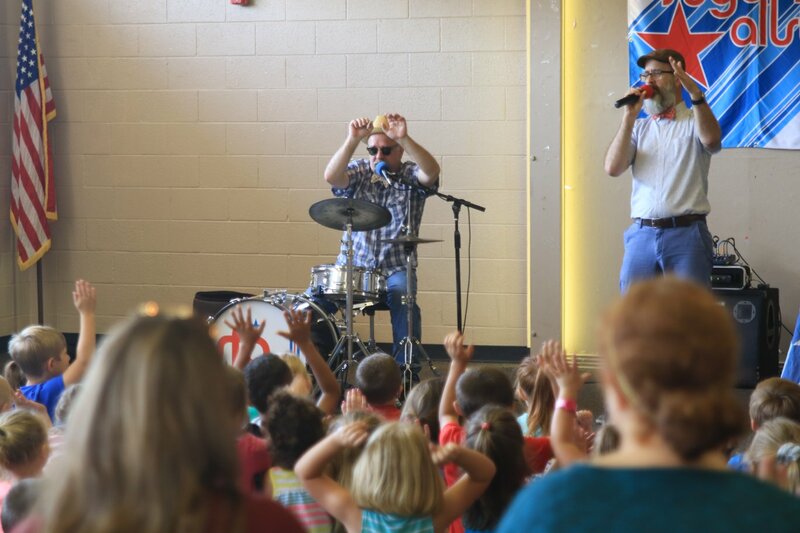 In addition to the reading incentives, free weekly programs throughout the summer will both entertain and educate children. The June 7 program will feature magic by Michael Corley; Rocky Mountain Puppets will take the stage for the June 15 program. On June 28, Extreme Animals will be featured, while the Oklahoma City Zoo will share some of its animals during the July 5 program. Stephen Cox will share science fun on July 12, and the science program, Wondertorium, will be presented July 19. Denise Gard will bring her dogs for storytelling on July 25, and the program wraps with the End of Summer Party July 30. All of the programs are at 10 a.m. at the Sallisaw Civic Center, 111 N. Elm, except for the Extreme Animals, which will be 4 p.m. at the library, 101 E. Cherokee; the OKC Zoo presentation is at 10 a.m. at the library; Denise Gard’s program will be 10 a.m. at the library; and the End of Summer Party will be 6 p.m. at the library. Several free teen events are also slated for the summer. Teen workshops are held Thursdays at 4 p.m. On June 1, teens will Escape at 10 a.m. Extreme Animals is the program for June 28 at 4 p.m. Teens will enjoy Laughing Matters at 10 a.m. June 29, and they will end the summer with a Dance in the library parking lot at 6 p.m. July 23. All of the teen events are held in the library meeting room, unless specified otherwise. For more information contact the library at 918-775-4481. 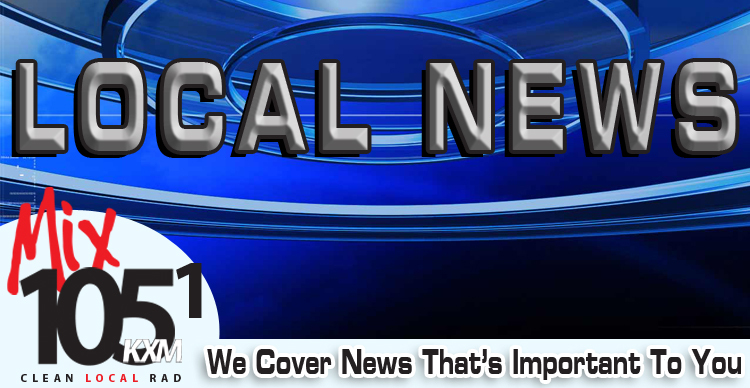 Friday, June 1st, is the last day to apply for voter registration in order to be eligible to vote in the June 26th Primary Election, Sequoyah County Election Board Secretary Cindy Osborn said today. Those who aren’t registered or need to change their registration may apply by filling out and mailing an Oklahoma Voter Registration Application form in time for it to be postmarked no later than midnight Friday, June 1st. Osborn said applications postmarked after that time will be accepted and processed, but not until after June 26th 2018. The County Election Board responds in writing to every person who submits an application for voter registration. The response is either a voter identification card listing the new voter precinct number and polling place location or a letter that explains the reason or reasons the application for voter registration was not approved. Osborn said any person who has submitted a voter registration application and who has not received a response within 30 days should contact the County Election Board Office. 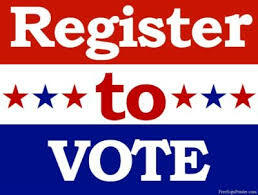 Oklahoma Voter Registration Application forms are available at the County Election Board office located at 110 E Creek St. Sallisaw, OK 74955 and at most post offices, tag agencies and public libraries in the county. Applications also are available at www.elections.ok.gov. Jennifer and their children in no particular order Jace, Jordan and Jake. In a special board meeting of the Sallisaw Board of Education held today, May 25, the board voted to employ Jeremy Jackson as the new superintendent of Sallisaw Public School. 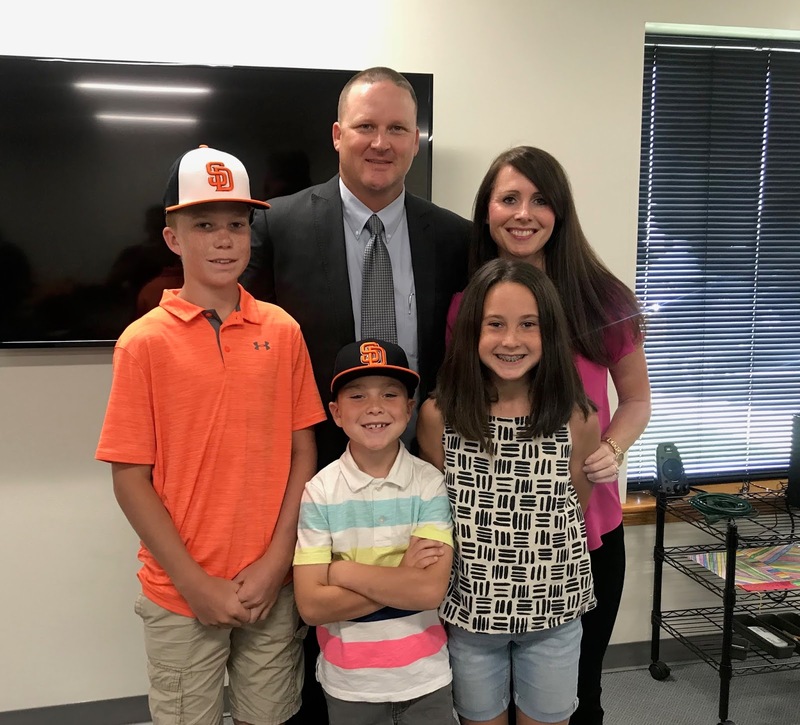 Jackson will replace Scott Farmer who recently resigned to take a new position as superintendent at Fort Gibson schools. Jackson has served as principal at Warner High School for the past six years. In 2016 he was named the Oklahoma High School Principal of the Year by the Oklahoma Association of Secondary School Principals. "I'm so excited to be here in Sallisaw. I started out my career in Gore so I've been around Sequoyah County before and coached and was able to move to administration through Midway schools and the last six years at Warner High School. "I'm very excited about the opportunities here in Sallisaw. Mr. Farmer's done a fantastic job with Sallisaw Public Schools with the staff he has put together. I just hope to continue on with his legacy and see what all we can accomplish as a staff and as a team," stated Jackson. The vote to hire Jackson was 3-0 with Frankie Sullivan III, Justin McGrew and Amanda Hatcher all voting in favor. Mike Daffin and Bobby Qualls were not present. Scott Farmer's resignation is effective June 30. The Cherokee Nation will host a send-off ceremony for the nine young Cherokee cyclists who leave Tahlequah on Tuesday for the 2018 Remember the Removal Bike Ride. This year’s cyclists range in age from 18 to 24. They will meet eight cyclists from the Eastern Band of Cherokee Indians in North Carolina for a ride that begins in New Echota, Georgia, on June 3, and concludes around 950 miles later in Tahlequah on June 21. Cyclists follow the Northern Route of the Trail of Tears, spanning Georgia, Tennessee, Kentucky, Illinois, Missouri, Arkansas and Oklahoma, to retrace the path of their ancestors. Of the estimated 16,000 Cherokees forced to march to Indian Territory in the late 1830s, 4,000 died due to exposure, starvation and disease, giving credence to the name Trail of Tears. During the send-off ceremony, Principal Chief Bill John Baker and other tribal leaders will wish the cyclists a successful trip and safe return. The 2017 participants are Daulton Cochran, of Adair County; Emilee Chavez, Lily Drywater, Dale Eagle, Parker Weavel and Sky Wildcat, all of Cherokee County; Courtney Cowan, of Delaware County; Autumn Lawless, of Muskogee County; and Amari McCoy, of Sequoyah County. Jennifer Johnson, a Cherokee Nation citizen and Oklahoma City lawyer, was chosen as this year’s mentor rider. Johnson is a Sequoyah County native and a graduate of Sallisaw High School. Cherokee Nation Businesses Executive Vice President Chuck Garrett, an avid cyclist, is also expected to join the cyclists during the first week of the journey. Follow this year’s journey at www.facebook.com/removal.ride and on Twitter and Instagram with the hashtags #RTR2018 and #WeRemember. The Members of American Legion Carnie Welch Post 27 in Sallisaw are preparing for the annual Memorial Day Service at the Sallisaw Cemetery. 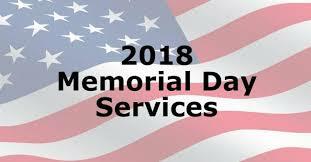 The service will be held at 11 a.m. Monday at the cemetery gazebo and the public is invited to attend. Robert Murchison, Post 27 chaplain and honor guard member, said Army Vietnam War veteran, Capt. Marc Cullison, will be the guest speaker. Frank Sullivan III is the master of ceremonies for this year’s service, and Post 27 will be assisted by the Women’s Auxiliary in posting the colors. Murchison said the post also makes certain each veteran buried at the cemetery has a flag placed at the marker. The post will also hold a fundraiser at Monday’s ceremony for the opportunity to win an American Tactical Pistol Model 1911-.45ACP. Members are selling tickets for $1 each or seven tickets for $5. You do not have to be present to win; the drawing will be held at the conclusion of the ceremony. Proceeds will be used to assist with different projects of the Post, including Boys State and replacing flags. The County Election Board responds in writing to every person who submits an application for voter registration. The response is either a voter identification card listing the new voter's precinct number and polling place location or a letter that explains the reason or reasons the application for voter registration was not approved. Osborn said any person who has submitted a voter registration application and who has not received a response within 30 days should contact the County Election Board office. 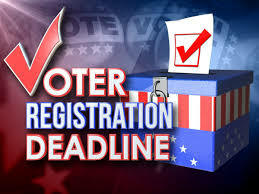 Oklahoma Voter Registration Application forms are available at the County Election Board office located at 110 E Creek St Sallisaw Ok 74955, and at most post offices, tag agencies and public libraries in the county. Applications also are available at www.elections.ok.gov. Sequoyah County deputies and investigators teamed up to execute a search warrant Friday, May 18, in the Marble City area. The target was not home at the time, but officers did recover substances that tested positive for methamphetamine and for marijuana. Charges will be filed and arrest warrants are expected for the target of this investigation. “This is part of an ongoing investigation into the distribution of illegal narcotics in our county and more raids can be expected,” Sheriff Larry Lane said. “Our deputies and investigators have been working relentlessly on drug and burglary cases and we plan to keep the pressure up”. 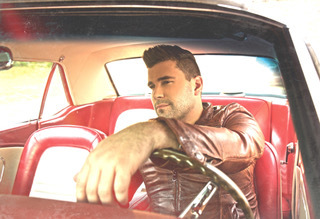 Josh Gracin’s new album, “Nothin’ Like Us,” reestablishes Gracin as one of country music’s most compelling voices – a soulful troubadour with an ear for a great song and a passion for connecting with his audience. On June 1, Gracin takes the Lee Creek Tavern stage inside Cherokee Casino & Hotel Roland for a free show. The concert begins at 8 p.m. The Michigan native was first thrust into the national spotlight when he placed fourth on the second season of “American Idol.” He was serving in the Marine Corps at the time and quickly became a fan favorite on the show. With a versatile voice that could excel in any style of music, some urged Gracin to pursue a pop career, but his heart was firmly in the country music he’d loved since childhood. Gracin signed with Lyric Street Records, and his first three singles, “I Want to Live,” “Nothin’ to Lose” and “Stay with Me (Brass Bed),” all charted in the top five, with “Nothin’ to Lose” climbing to No. 1. His self-titled album was certified gold by the RIAA, cementing the artist as one of country music’s gifted young voices. The musician’s second album “We Weren’t Crazy,” featured the No. 10 hit single by the same name. Also on the album, the songs “Favorite State of Mind,” “I Keep Coming Back,” “Unbelievable” and “Telluride” landed in the Top 40 on the US Country charts. For information on Gracin, including tour dates, visit www.joshgracin.com. Cherokee Casino and Hotel Roland is located off Highway 64 on Cherokee Boulevard in Roland. For more information on Cherokee Casino and Hotel Roland, visit www.cherokeecasino.com or call (800) 256-2338. All guests must be at least 21 years of age. Sequoyah County Sheriff’s Deputies and investigators teamed up with officers and detectives from the Sallisaw Police Department last Friday to execute several search warrants. One was at the residence of Ronnie and Sherry Crisell, at 100 South Poplar in Sallisaw. 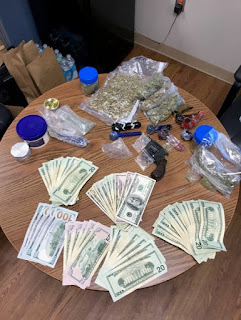 Inside, officers found substances and items consistent with the distribution and use of methamphetamine and marijuana, as well as over $2,000 in cash. Officers also found three small children in the residence and some of the narcotics were found in the children’s room within easy access of their reach. DHS was called in for the children and both parents were taken to jail. Ronnie Crisell, age 39, and Sherry Crisell, age 34, were both charged with possession of marijuana with intent to distribute, possession of methamphetamine, 3 counts of child endangerment, possession of controlled dangerous substance within 2,000 feet of a school, possession of a firearm in commission of a felony, and possession of drug paraphernalia. Pictured L to R standing: Jarred Jones, Reece Mitchell, Krey Long, Kelby Koonce, Stacey Hardbarger, Muniru Bah, Connie Fines, Cassidy Craghead, Lakota Vickers, Allie Robbins, Hadley Carpenter, Curtsie Pace, Mary Reed, and Paiden Arnwine. Pictured L to R kneeling: Michael Malone, Macee Williams, and Tiffani Wood. 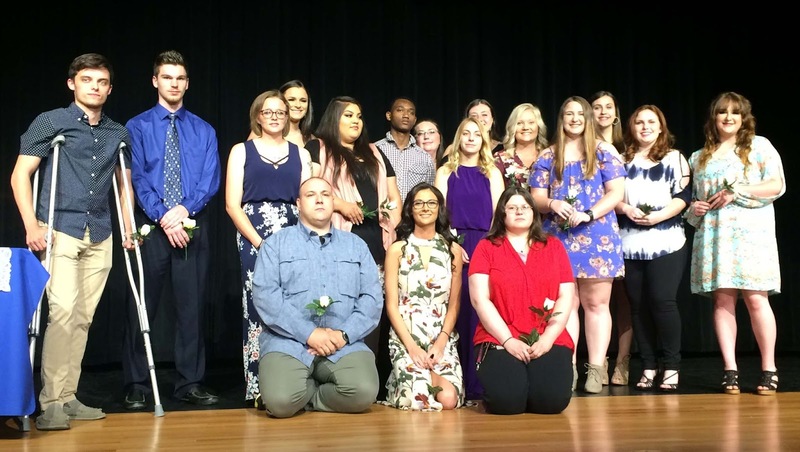 The Carl Albert State College Phi Theta Kappa Honor Society inducted 48 new members into its Alpha Delta Lambda chapter on May 1. The purpose of Phi Theta Kappa is to recognize and encourage scholarship among two-year college students, nationwide. To achieve this purpose, Phi Theta Kappa provides opportunities for the development and advancement of leadership and service. This allows for fellowship between scholars and a continually stimulated interest in continuing their academic excellence. 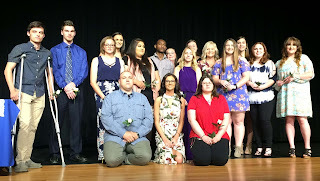 New inductees are: Paiden Arnwine, Muniru Bah, Ashley Brandy, Michael Burns, Misty Canizalez, Kyndel Cannon, Hadley Carpenter, Karna Clark, Cassidy Craghead, Rory Crittenden, Darby Duncan, Haley Dunlap, Cassie Ennis, Staci Evans, Connie Fines, Braxton Furer, Deyra Trejo Gonzalez, Kymber-Leigh Hall, Stacey Hardbarger, Kelseigh Hopson, Toby Huff, Benny Jones, Jarred Jones, Kelby Koonce, Samantha Lininger, Krey Long, Ashley Lotchleas, Jessica Magie, Michael Malone, Reece Mitchell, Thomas Oare, Caleb Owen, Curtsie Pace, Luz Ramirez, Mary Reed, Allie Robbins, Kerstein Rothermal, Tyler Seaton, Kyla Sisney, Ronnie Smith, Deidra Solis, Dylan Thurber, Samantha Valenzuela, Lakota Vickers, Jami West, Macee Williams, Tiffani Wood, and Brandy York. 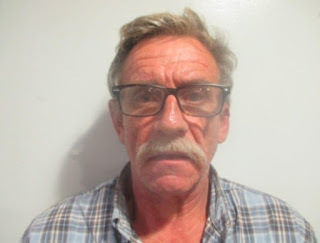 The U.S. District Attorney's Office in Muskogee announced that Gregory Martin Williams, age 57, of Muldrow, Oklahoma, pled guilty to Possession With Intent To Distribute Methamphetamine, punishable by not more than 20 years imprisonment, up to a $1,000,000.00 fine, or both. The Indictment alleged that on or about August 30, 2016, within the Eastern District of Oklahoma, the defendant, did knowingly and intentionally possess with intent to distribute a mixture or substance containing a detectable amount of methamphetamine, a Schedule II controlled substance. The charge arose from an investigation by the District 27 Drug Task Force, and the Drug Enforcement Administration. Assistant U.S. Attorney Christopher Wilson represented the United States. 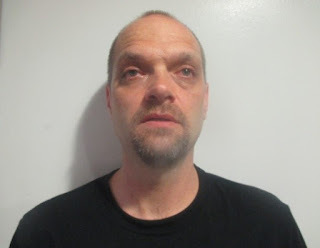 The Sequoyah County Sheriff’s Office executed a search warrant at the residence of Mark Matthews, 52, about 3 miles north of Gore, last Friday, May 18. Once inside the residence, officers found items and substances consistent with the use and distribution of methamphetamines. Matthews, who also had outstanding felony warrants, was booked into the Sequoyah County Detention Center on charges of possession of controlled dangerous substance (methamphetamine) with intent to distribute, maintaining a residence where drugs are kept and/or sold, possession of drug paraphernalia, as well as the outstanding warrant for failing to appear on previous charges. 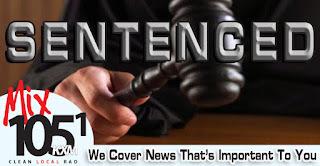 Matthews is being held without bond. 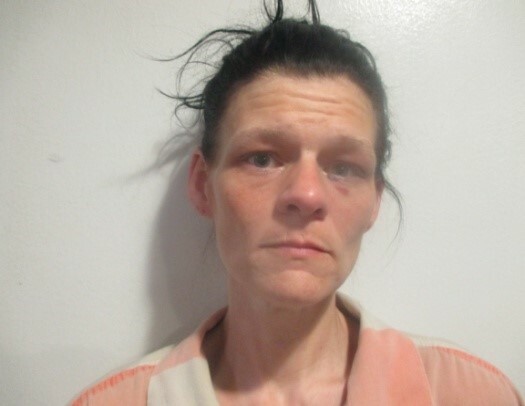 A Gore woman was arrested Tuesday for the first-degree murder of a Gore man last October. 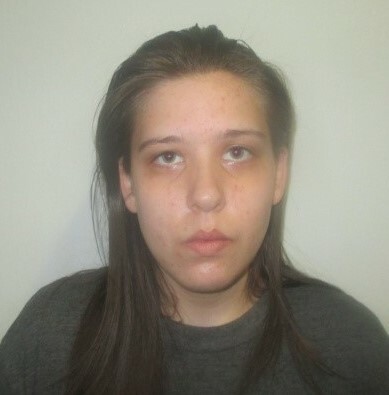 The warrant was issued Tuesday for Elizabeth Nicole Stewart, 25, of Gore, according to the Sequoyah County Sheriff’s Department. The warrant is the result of a lengthy investigation into the shooting death of Joshua Tucker. On Oct. 26, 2017, at a residence north of Gore, Joshua Tucker was found lying in a neighbor’s driveway with a single gunshot wound to the abdomen. He was transported to a Tulsa hospital where he later died from the gunshot wound. “Over the past few months, Investigator Gene Wheat, and other investigators have been diligently working on this case and through their investigation, the evidence showed probable cause for an arrest warrant to be issued,” Sheriff Larry Lane said. The arrest warrant states that witnesses reported Stewart had a history of being aggressive and abusive toward Tucker. On the evening of Oct. 25, 2017, according to the arrest affidavit, Stewart and Tucker had a physical altercation at 99892 Highway 100 in Gore, over Tucker spending their last money for drugs, leaving no money for Stewart to buy gas to go to work. Stewart admitted she initiated this physical altercation. She stated she became aggressive and slapped and hit Tucker a couple of times. Tucker was shot at point blank distance, according to the medical examiner. 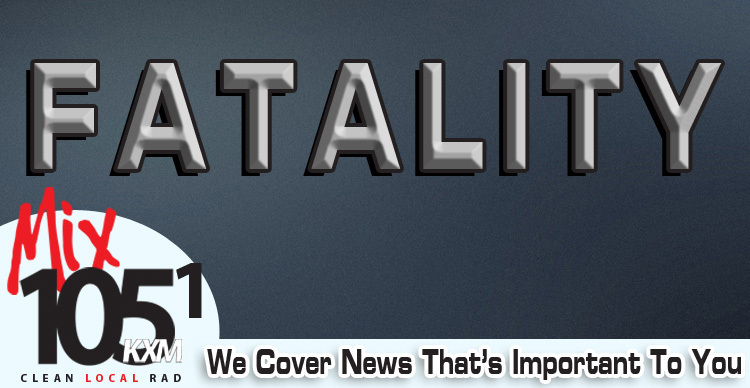 Stewart gave conflicting stories to investigators as to what happened after the altercation. She told investigators that she had not handled or shot a gun for about two days prior to the incident. Gun shot residue samples came back as positive indication for GSR being detected on Stewart’s person. A search of the outside and inside area around the trailer on the date of the altercation did not produce any hand guns on the property. On Dec. 3, 2017, Stewart notified authorities that she and her father had found a semi-automatic pistol in a tote box under the trailer shared by Stewart and Tucker. Investigators located the gun, and tests determined the spent round was confirmed to be shot from the semi-automatic gun that Stewart alerted authorities about. Investigators also discovered, according to the arrest affidavit, that Stewart could not be accounted for at her workplace at Cherokee Casino Sallisaw for a 52-minute span of time that directly correlated to the time of death, as determined by the medical examiner. Sheriff’s investigators went to Stewart’s home Tuesday and placed her under arrest without incident. Stewart was booked into the Sequoyah County Detention Center and is being held without bond. 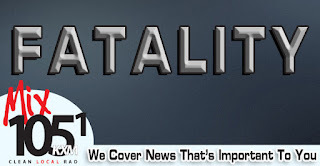 A fatality accident occurred on Monday, May 21 at approximately 10:18 p.m. on Camp Creek Road, one half mile north and one mile east of Muldrow. According to the Oklahoma Highway Patrol report, John Reese, 87, of Roland, was driving a Ford backhoe through a field while attempting a right turn around the west side of a slight hill when he overturned one and a quarter times coming to rest on the driver's side. Reese was ejected landing between the ground and canopy of the backhoe. The cause of the accident is still under investigation. Reece was not wearing a seatbelt at the time of the accident.